In an age where every brand competes for the attention of the consumers dollars with lack luster facebook competitions and an invasion of self-serving promotions; it is refreshing to see a brand like CAMPER get it right time and time again. With a strict attention to design and a clear brand identity, they have managed to expand their shoe brand to also include Casa Camper Hotels in two of Europe’s most culturally hyperactive cities: Barcelona and Berlin. While their hotels have become a favorite among the “GLAMPACKERS” ( think back packers armed with iPads and 4G phones) Casa Camper is also popular among creative types; which is why Camper have unleashed it’s latest effort into the blogosphere. A complex project simply titled: HOTEL. 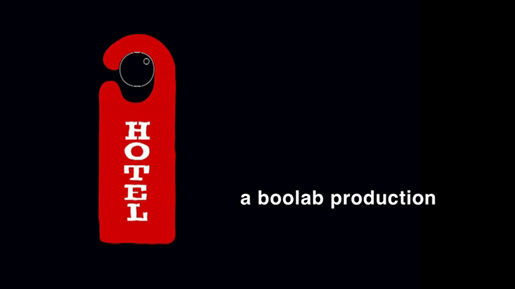 Produced by the award-winning Barcelona based studio BOOLAB, Casa Camper hand-picked 6 young directors and gave them AN ALL ACCESS PASS to use the hotel as their own personal movie studio. The Rules were simple: 6 directors /24 hours/ ZERO budget. The result is an amazing look at the imagination and creativity that comes about when a brand backs a project with universal appeal and showcases the work of six amazing directors. Participating in this years project were Erika Lust, Sofa Experience, Roger Gual & Steve Green, Danny Ilario, Celia Galan and Nico Casavecchia. Shot entirely in one day, the SHORT FILM’S Project MICROSITE features a great behind the scenes look at the making of the project, exclusive interviews by each director and the full length film complied of the 6 short films. Exploring themes such as fantasy, love, loss and lust. The project keeps the viewer entertained and takes you an a trip through the halls and deep in to the heart of Casa Camper- Barcelona’s most creative hotel.